The Stouffville Legion Branch 459 is one of the 1,400 branches that make up the Royal Canadian Legion. Located in the Town of Stouffville Ontario, we have been in the community since 1947. 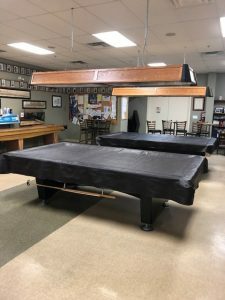 In 2011 the Branch was relocated to our current facility which consists of an 5,500 ft2 building containing our licensed Club room, Banquet Hall, Board Room and Office with parking for 90 vehicles. The Stouffville Legion like all Legions is a volunteer membership. As of March 26, 2019 our membership consists of 29 Ordinary, 4 Life, 126 Associate and 95 Affiliate. To become a member, past or current military service is not required. We invite everyone to visit and experience our hospitality and facilities. The Legion supports our Veterans as well assists in supporting the Whitchurch Stouffville Community in various manners. The Branch proudly hosts Remembrance Day Services on behalf of the Town at the outdoor Cenotaph as well ceremonies at the local cemetery honouring our locally fallen veterans. All members of the community are invited to witness and participate in these ceremonies. An additional benefit of being a member is Comradeship plus the social sporting activities that are available to you both within the Club, Zone and Provincial / Dominion levels. 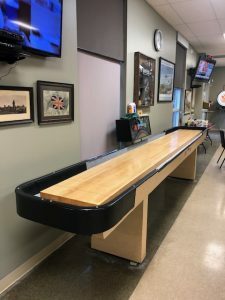 Shuffleboard, Billiards, Darts and Golf are just some of the popular activities that our membership participates in.